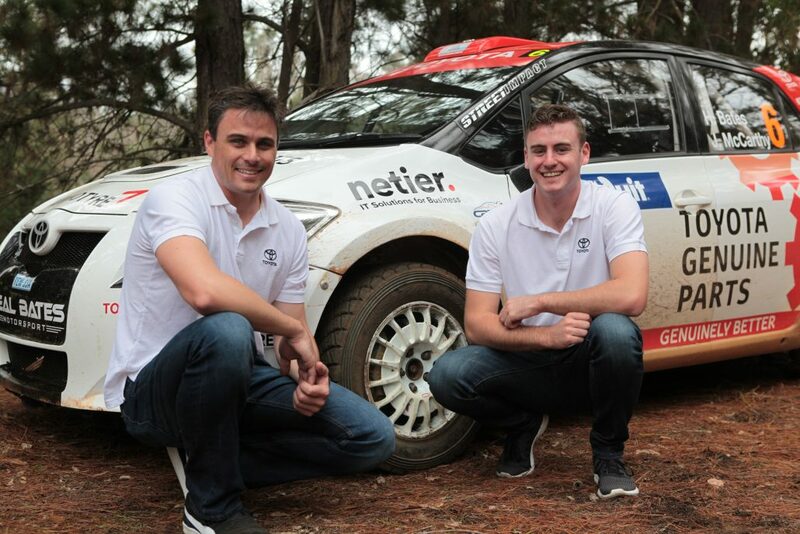 Leading Canberra based IT company, Netier, is excited to announce its support for Harry Bates as he prepares to compete in his first full season of the 2016 Kumho Tyre Australian Rally Championship. Harry is widely regarded as Australia’s best up and coming rally driver and is looking to build on some excellent results in 2015 at both state and national level. This year Harry will step up to a 4WD Corolla S2000 that has the potential for outright success. The first round of the 2016 ARC kicks off this weekend at the Quit Forest Rally. Netier is proud to be able to support Harry, who is the son of four-time Australian Rally Champion, Neal Bates, throughout the 2016 season. “Harry is a very mature young man who has some enormous goals that he would like to achieve and we believe that he has the drive and passion to achieve them. If we can help him to reach those goals and join him on that journey then that would be fantastic. Although we have clients nationally, Netier is a Canberra based business and we are always looking for opportunities to support local people and organisations where there is a good synergy.” said Gordon Hayes, Director of Netier. “I’m very grateful to be partnered with a local Canberra business like Netier, who along with Toyota Genuine Parts, have shown they’re prepared to throw their support behind me, despite my relatively small amount of experience and results. I’m obviously very excited to be competing in the ARC this year!” Bates said.